Train Like 'Striking Truth' Star Georges St-Pierre - Advanced Workout Guide! The Striking Truth is the exclusive documentary for Ultimate Fighting Champion Georges St-Pierre and his meteoric rise to the top. Here is his advanced guide to MMA training! 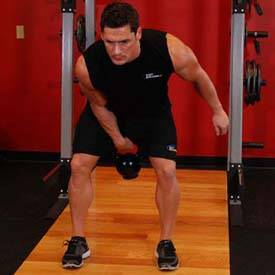 Same exercises as Intermediate but when doing Bodyweight Squats, Single Leg Squats, Lunges, Jump Squats and Standing Calves add either a weighted vest or hold dumbbells to increase resistance on your body. 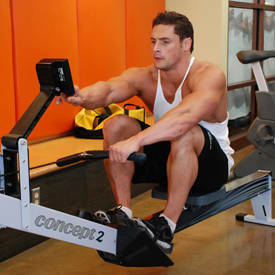 Do all of the exercises, then take off the vest or drop the weights and go through the cycle again. 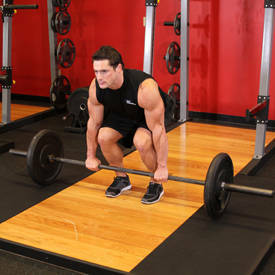 High Pull: An Olympic lift that works your traps but is an overall intense exercise to get the blood flowing. Explode on the way up. 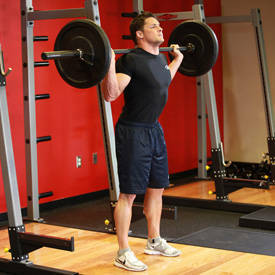 Pull-ups: Use Weight Assisted Machine or do Pulldowns if you are not strong enough for Pull-ups. Use an underhand grip and explode up, slow on the way down. 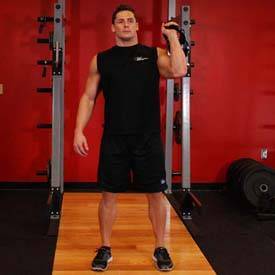 This works both back and biceps so I see little need for Arm Curls. 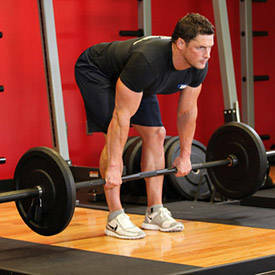 TRX Inverted Lateral Rows: Go slightly wider than shoulder length on the TRX Inverted Lateral Rows with Overhand Grip. 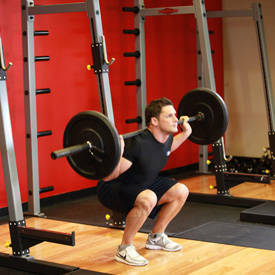 If there is no TRX, use a Smith Machine and pull yourself up with your legs positioned on a Stability Ball or Bench. Stir The Pot: You do this by positioning your forearms on a stability ball and extending your body up into the plank position, where your back is straight. Keep your abdominals flexed and the rest of your body stationary while using your arms to move the stability ball in a circular motion. You should look like you are stirring a pot. Leg Raises: Bend your knees if you&apos;re not strong enough to keep your legs straight. 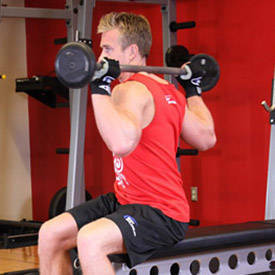 Do this on a pull up bar and it provides a nice stretch for your back at the end of workout. 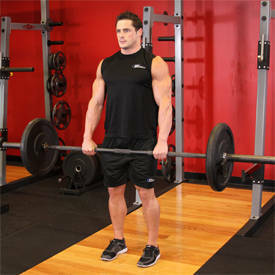 Standing Push Press: You should do this relatively heavy so that you reach failure at approximately 5-8 reps. Only do one Clean, then explode up with Push Presses, resist on the negative to failure. Dumbbell Chest Press Drop Set: Start with heavy weight then drop immediately to a lighter weight, then do one final drop. 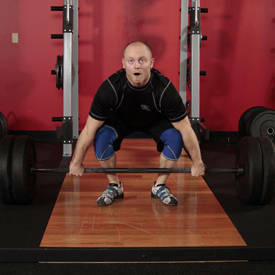 On the final drop only use one dumbbell each side with other hand to your temple to stabilize. 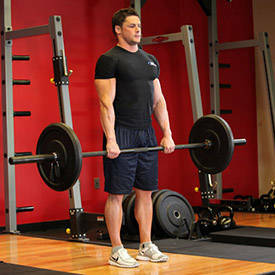 Start with your dominant hand then switch to weaker arm. Only do this cycle once. Upside Down Handstand Pushups: If this is too easy add weighted vest and go through the cycle, then drop weighted vest and repeat the cycle one more time. Note: Use extra caution when doing handstand pushups not to fall on your head, or if using weighted vest, that vest does not come loose and fall on your head. Recovery: Make sure to take full recovery days and get lots of sleep. Guys, take your girl out to do something fun to make her feel special.